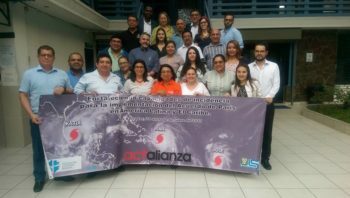 Through its Global Climate Action Project which kicked off in 2017, ACT Alliance has embarked on an ambitious plan to implement its long-standing climate justice programme in the context of the Paris Agreement, Agenda 2030 and the Sendai Framework for DRR through a series of capacity building workshops. The growing mobilisation of the faith community allows ACT to further amplify the urgency for climate justice, ambition, and solidarity at the national and international levels. Climate change is one of the most significant threats to lives and livelihoods around the world. As temperatures continue to rise it is the poor and most vulnerable people that are living on the frontlines of its increasingly stronger and more frequent impacts. To limit these impacts on the climate vulnerable, the 1.5°C temperature rise threshold that was agreed to in Paris (2015) must be maintained. In order to do so while alleviating poverty and ensuring justice, national capacities need to be strengthened so that the tremendous potential of low carbon development can be mobilized for community resilience. The components of the Paris Agreement and the complementary global policy frameworks established in 2015, including the Sustainable Development Goals (SDGs) of Agenda 2030 and the Sendai Framework for Disaster Risk Reduction, can only be achieved if implemented hand in hand. To increase the ownership, ambition and transparency that is necessary for the full implementation of the Paris Agreement, broad stakeholder participation including that of faith based organizations (FBOs) will be required. Churches, FBOs and social movements have the potential to share knowledge, build commitment and to promote values for the care of creation. The international community is at a critical intersection of opportunity and urgency to further strengthen the capacity of ACT Forums, partners and churches to engage in national advocacy for the ambitious implementation of the Paris Agreement. ACT has conducted climate change advocacy and campaigns work on climate justice and the international climate policy framework since it was founded in 2010, focusing on processes that led to the Paris Agreement. ACT’s climate justice work focuses on three pillars: advocacy and mobilization, capacity building and research and knowledge generation. The first round of capacity building workshops covered four of ACT’s regions: Asia-Pacific, Middle East and North Africa, Africa, and Latin America and the Caribbean. A total of 82 individuals representing ACT members, forums, staff and partners from 33 countries were trained. The workshops aim to build the in-country capacity of ACT Forums, partners and churches to conduct advocacy for the ambitious and scaled-up implementation of the Paris Agreement and to better align their national climate, disaster risk reduction and sustainable development work with the ongoing global processes. These workshops are undertaken in collaboration with the ACT Alliance Advocacy Academy. A second round of capacity building workshops in the four regions will take place this year. We invite you to stay tuned for updates on the Global Climate Action Project and to follow our ACT Now For Climate Justice Campaign on Facebook, and @actclimate on Twitter for highlights!